Wishing All our customers and suppliers a fantastic Christmas and a prosperous New Year! Here’s to 2019! 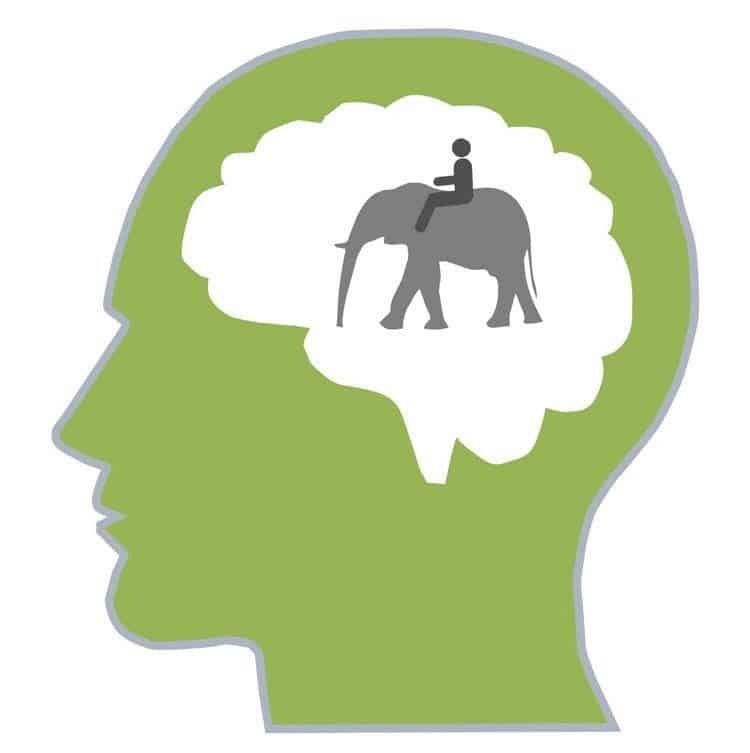 The Economist guides us, the BBC encourages us but are you willing to go to any lengths? This is a call to follow Trump’s example and use our trade to our advantage, or rather the advantage of the world. The Economist highlights the quantitative issue of plastic recycling. 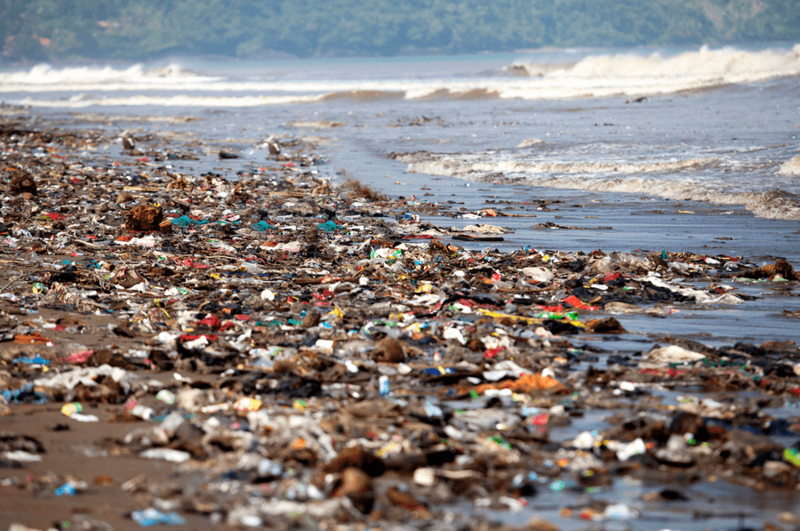 It finishes by rightly saying five Asian countries are responsible for more free plastic pollution (that is likely to be ocean bound) than the rest of the world put together. We need to do it more for our planet. But is that a fair answer, and what is the solution. Well if we are a globalised economy we ALL have a responsibility, and cheap ocean disposal however it arises is part of this. We cannot simply point a finger. Can we use our buying power to influence changes quicker? One possibility is understanding what recycling systems a country has in place. Do they recycle plastic bottles or stretch wrap? If so, in what percentages? Businesses do respond to clear indications from consumers. We need therefore to be forever giving them clear indications. It is not just about how we recycle post-consumer plastics in the UK or Europe, but how to apply pressure on corporations around the globe. But what about us? Are we recycling everything we can, or are we reliant on sending dirty plastics for recycling to the same five Asian countries? 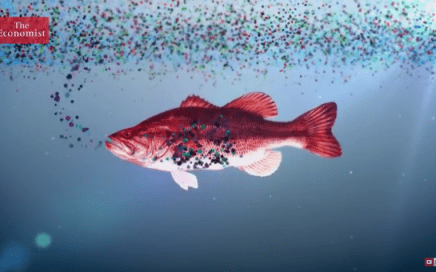 We need a plastics pollution evolution. Pay the right price to segregate and recycle its own materials. Engage locally with government and business to positively promote recycling infrastructure. Stop buying products from companies based in countries that refuse to do the same. Before Christmas, I am auditing a hotel chain, on behalf of a not for profit organisation and I will question them on what procedures they are willing to implement with their supply chain? Have they considered the impact of microplastics in their laundry procedures and linen acquisition? What processes do they implement to reuse or recycle, particularly in terms of in-house segregation and training. I will ask them if they are willing to implement procedures to enhance our relationship with the planet in the UK, so we are able then to influence more widely with our purchasing power. Many people clean beaches, recycle furiously and thank you. Some people can’t, and some won’t. 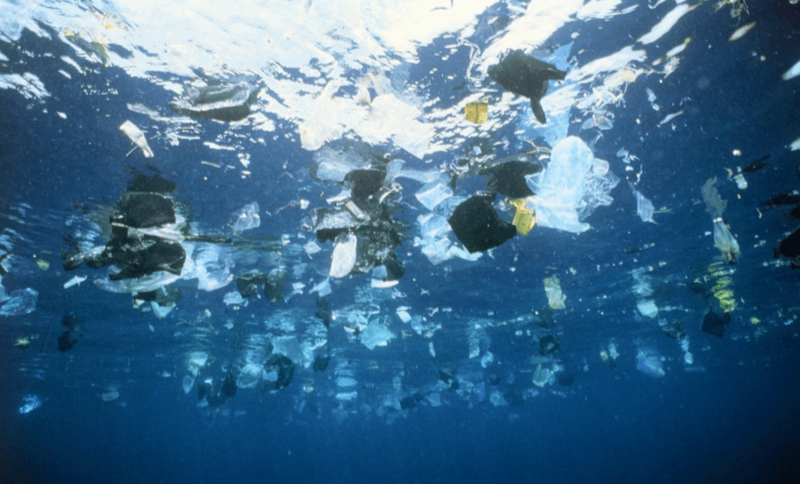 What lengths will you go to this week to help us recycle more plastic and therefore be a greater influence in the world? 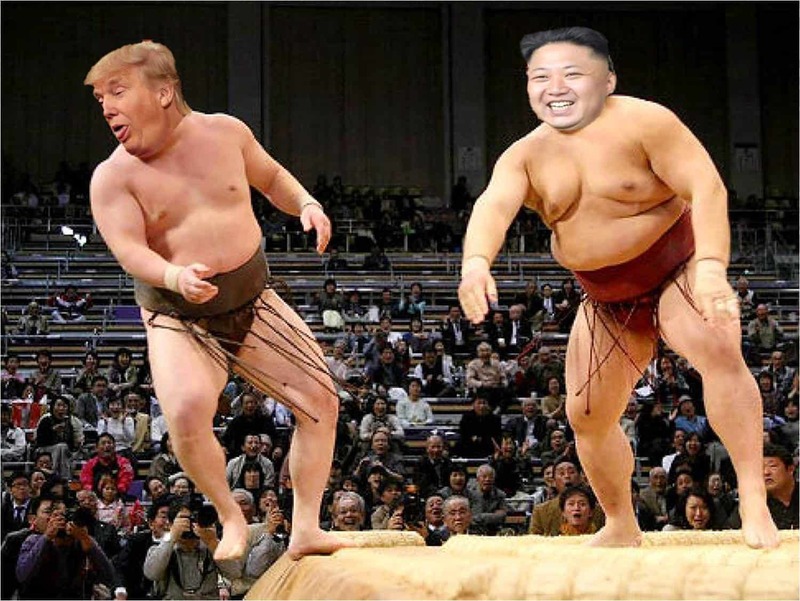 Is it tariff trade war time? Changing Habits; Changing Lives—Saving The Planet. 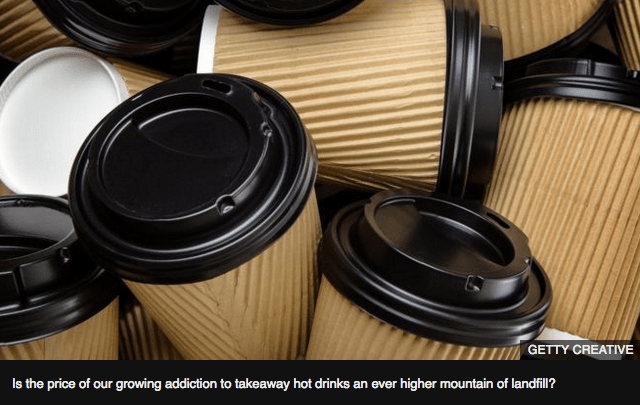 Changing habits, changing lives, saving the planet - With all the noise over coffee cup recycling there have been lots of suggestions available. This is by far my favourite one, and it taps into the genuine issue of ‘joined up thinking’ to ensure everybody pays a fair share of the burden. 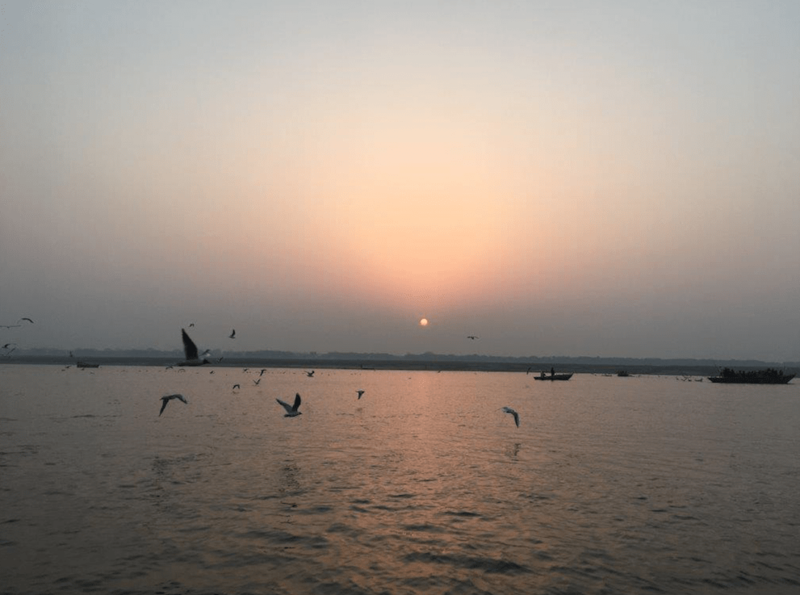 Safia Qureshi points to chai wallahs in India as one of her initial inspirations. There, tea is poured into glasses that are washed and reused. We all used to drink milk and Coca Cola from returnable, reusable bottles. "The current model for reusable cups is that the consumer needs to buy the cup and take it in. The ratio of consumers doing that is 2% of all the total coffee sold," she points out. Instead, she proposes that the customer joins Cup Club and picks up a reusable cup when they buy their coffee. It can be returned later to one of several collection points. Cup Club is responsible for collecting washing and redistributing the clean cups to participating retailers. Because the cups are tagged and registered to your account - using RFID, the same technology that's on an Oyster travel card - Cup Club can text you a reminder if you've forgotten to return a cup and charge you if you keep it. This basically means a more expensive cup of coffee-----bring it on. Challenge 1: to ensure all retailers of coffee join the scheme. It is not correct to just ask ‘big business’. Challenge 2: to fund deeply and correctly the collection and laundry infrastructure. The RFID is clear and wonderful. Could it be 50 pence saving on a cup of coffee perhaps? Challenge 3: avoid getting lost in a debate between industry and local government re waste collection charges. Challenge 4: inspire the planet to provide more schemes that solve a problem by aggregating it to a national or world level and the cost of solving it is shared between producers, retailers and customers. I Vote To Pay The True Environmental Cost, But Who Is Going To Raise The Invoice? 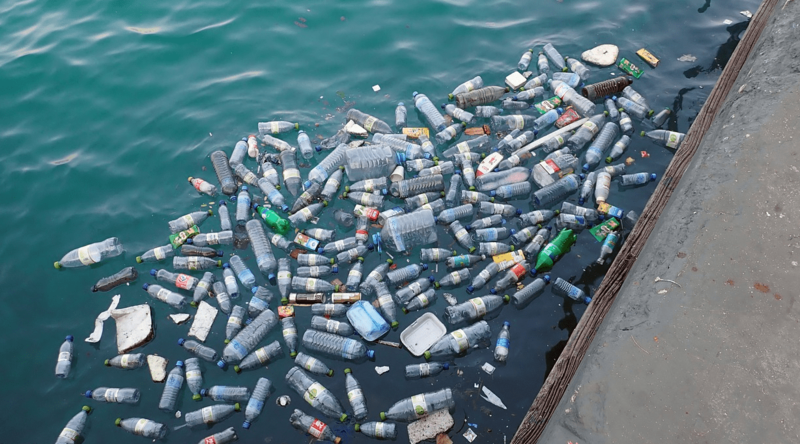 Latte levy, bottle deposit scheme, oceans awash with plastic. Are you willing to pay the actual cost of living on this planet? The BRC response to the recent attempts to move towards a bottle return scheme are well, mind numbingly unspecific. 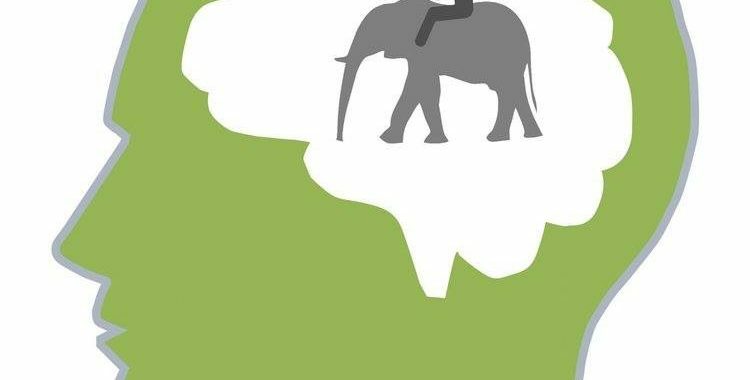 https://brc.org.uk/news/2018/deposit-return-scheme-requires-creative-thinking. Where is the acknowledgement that our right to abuse the planet is expensive? The automatic response is to appropriately split the costs between consumer and retailer. Does this include the full costs to the planet? 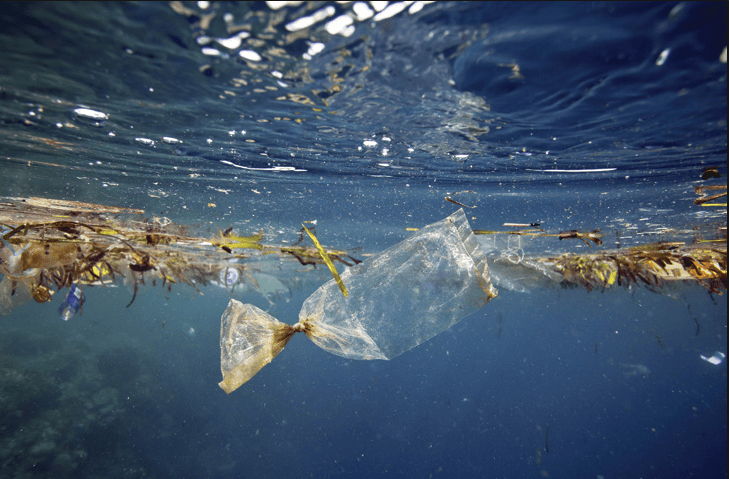 England's seven main retailers (Tesco, Sainsbury's, Asda, Morrisons, M&S, Co-op and Waitrose) sold 83% fewer single-use plastic bags in 2016 compared with 2014 - the latest full year of data which was gathered by WRAP. In Indonesia, it is pay as you go for many consumer products as investment in a stock is not possible. Therefore, they buy enough shampoo for a day or two, and therefore have lots more smaller items of packaging. If we will not operate a deposit scheme to ensure we control what is controllable, how can we engage others to do so? We have been happy for the Chinese environment to pay the price of our recycling needs. It is startling that Chinese environmental policy changes are driving an agenda the Western nations have off-loaded, along with the dirt and grime of manufacturing in general. My factory is in Trafford Park where we are now competing for space with scenery makers and media businesses. It almost makes me long for the smoke of a foundry, the oily haze drifting from heavy engineering, even the old smelly Salford docks. We have encapsulated this in the carbon measurements, claiming that our emissions are getting better simply because the emissions that are caused in the manufacture of the goods we consume are measured where they are now made. They should be measured where they are consumed. It is the same with the cost of the planet. Where are the microplastic costs measured? In the belly of the whale? I vote to pay fully for the environmental cost of being alive today. I want to vote for the party who will ensure I get that bill. But who do I vote for? Our domestic cheerleaders are too concerned with the B word, to consider the world. The international bodies are lobbied by nations, multinationals and billionaires. Any of you on LinkedIn looking for a change of career, start a Party for the World with a one policy mission: To make all people, businesses and governments pay the true price of living on this planet. You never know it might take off, we might start to save the planet and maybe feel a little happier as a world too. Recycling is a complicated business. Recycling is a complicated business. Oxo biodegradable plastics, China and humble plastic drum, IBC and 25 litre plastic container. You only need to take a quick look at the recent MRW to see how complex recycling is. The issue also highlights the need for continuous supplier due diligence, to avoid shocks to budget and indeed unanticipated enforcement action. (https://www.mrw.co.uk/latest/company-fined-after-dumped-waste-traced-by-council/10025345.article) Your drums, IBCS and 25 litre plastic containers have secure reuse and recycling routes despite this complex world. The article linked below shows a catch up of something I found incomprehensible in my years in early MRF development; namely the introduction of even more types of polymer to what was already a crowded place. New evidence showing the complexity of micro plastic pollution shows how long it sometimes takes us to understand the impact on the environment. In the same edition China’s contamination levels for recyclable materials are discussed under review. Technical issues on contamination become real issues if prices reduce, recycled stocks rise, budgets gains appear and on site fire risks go beyond agreed risk assessments. Yet there is news to work with. Plastic drums and IBCs have a proven route for reuse and recycling, with UK processors providing quality service and technical support for a range of industry and agriculture. Even so many containers still find their way to landfill, waste to every or incorrectly licensed sites. Don’t be responsible for a chemical residue entering the effluent streams uncontrolled. Where plastic in the form of drums, IBCs or 25 litres are suitable for cleaning and reuse or recycling, find a contractor that will. One with a hazardous waste license, chemist control and management of the environment at the core of its business ethic. Welcome to Packaging Reuse, looking forward to seeing what Drum Man finds to talk about. The first version talks about the waste hierarchy and how companies can work with the environment and businesses. Ensure the best methods appropriate are used. We can help you find the best option for your waste, we also have an in-house chemist which we should be talking about more, so if you are unsure please ask us and if there are any doubts or queries are chemist is on hand to advise and make sure that the correct methods are used. Look out for Drum Man on social media - LinkedIn, Facebook, Twitter and Instagram. 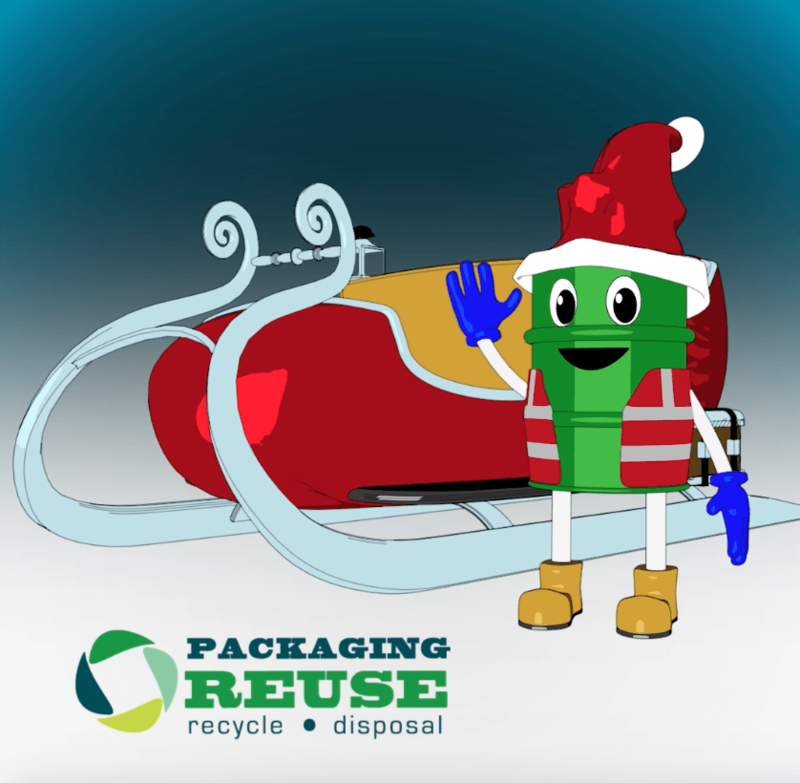 He brings a smile to your face whilst giving interesting educational informative communications within the recycling and environmental sectors. 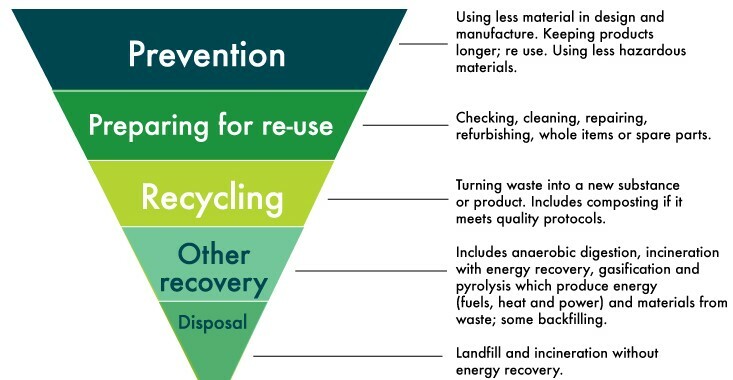 When choosing your hazardous waste or packaging removal company it is useful to understand the relationship with the waste hierarchy. At Packaging Reuse we monitor raw materials presented as waste on behalf of our customers, and inform them of potential production non- conformances, if we receive regular or large quantities of raw material as waste. This first element of the waste hierarchy PREVENTION is generally not even considered by waste transfer stations. Our bespoke service then maximises reuse for packaging back into industry. Non-reusable material is presented to our range of cleaning and processing solutions to prepare recyclate for our network of UK REPROCESSOR trading partners in metal, polymer and fibre. 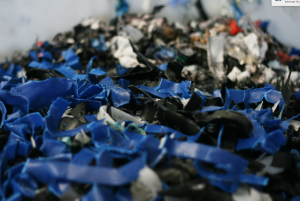 Further material is then handled via an MRF facility leaving negligible landfill at the end of our process. 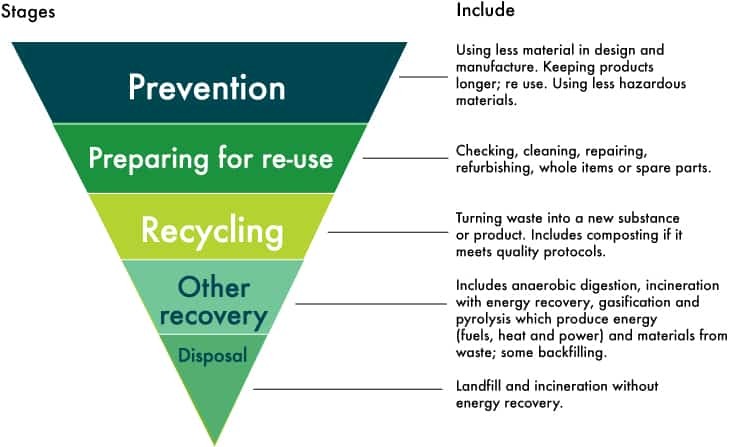 In considering the waste hierarchy check the systems of your hazardous waste and packaging disposal suppliers, you may be surprised how far down the hierarchy some operators are. So, if low value raw materials such as mixed rigid plastics and lightly contaminated materials find their way into the landfill waste stream the chances of contractors comitting waste crime and sustaining the landfill tax charges are limited. As Emma Howard Boyd, chair of the Environment Agency said at the RWM this week the Agency’s understanding of the “new waste campaign” in China, “is that from the end of 2017, the import of 24 wastes could potentially be completely banned. 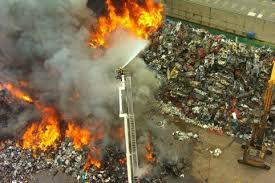 PRD Services are experts in this field, dealing daily with Hazardous Waste from around the country. Hazardous packaging loads produce hazardous waste. Drummed hazardous waste loads can cost up to £10,000 per vehicle load. No wonder waste has become attractive to some who are unscrupulous. There are many well documented waste piles on farmland, tyres in warehouses, fires hiding a multitude of sins. But don’t forget that with such large invoices being raised this can also happen with less visible smaller quantities of waste. Take plastic recycling, thousands of tonnes of plastic contaminated with chemicals and other wastes have been exported in the past. 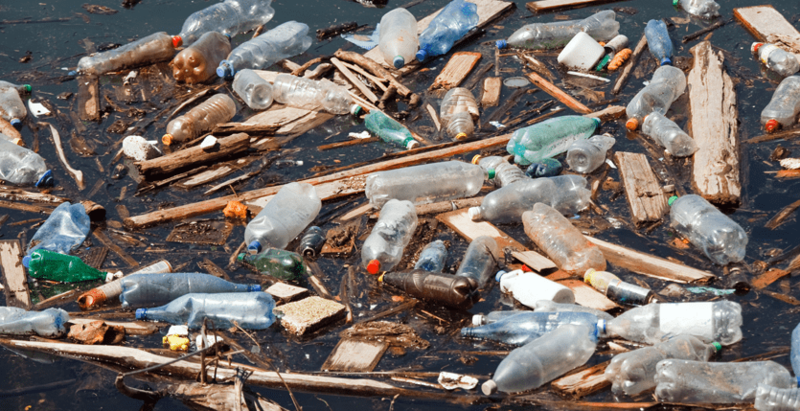 Although this is receding, there are still unlicensed UK processors who take this material for recycling and any prosecution can include that site’s supply chain. Tankers making illegal deposits make regulators and water operators life more and more difficult as years go by. And with stretched enforcement staff, it is easy to accept the story that this is licensed and acceptable. Don’t be fooled! View the permit. Ensure signed waste returns are filed. The electronic system behind waste movements can catch up with you. At Packaging Reuse we use only UK reprocessors for our plastic recycling. Packaging Reuse has rigorous pre-acceptance. We will give free advice on your disposal options and paper trail with no obligation. Choosing your waste/disposal company responsibly! At Packaging Reuse we monitor raw materials presented as waste on behalf of our customers, and inform them of potential production non- conformances, if we receive regular or large quantities of raw material as waste. This first element of the waste hierarchy PREVENTION is generally not even considered by waste transfer stations. 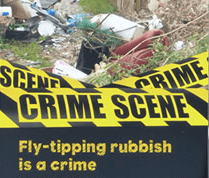 Are you secure from waste crime? All responsible companies understand their Duty-of-Care with respect to waste management. This involves ensuring that the company removing the waste is registered with the Environment Agency, and that the site receiving the waste has the appropriate permit. Yet prosecutions recently have shown how easy it is to fail this basic test. For example, there are facilities that have in good faith dispatched product for reuse, later to discover illegal disposal has occurred with a significant amount of the material. 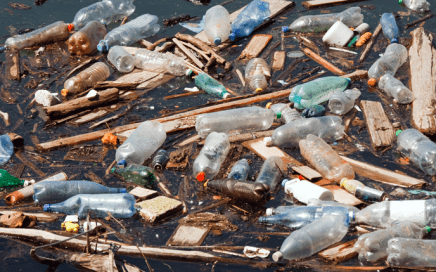 We have seen cases where supposedly clean, recyclable plastic which is contaminated with hazardous waste is stored and reprocessed on unlicensed facilities. In the case of industrial packaging waste, a drum or IBC will usually have a product label which can immediately identify it back to the producer, yet there are cases recently where IBCs and drums contaminated with hazardous chemical waste and still showing the original labels are being stored illegally on unlicensed and unmade ground. In any of these scenarios would you be happy with your company being involved in an Environment Agency prosecution trail? Add to this the criminal element – this article in Materials Recycling Weekly in May (https://www.mrw.co.uk/latest/entrenched-waste-crime-costs-england-600m/10019503.article) shows both the potential cost to “UK PLC”, but also the frightening extent to which criminality could be involved. 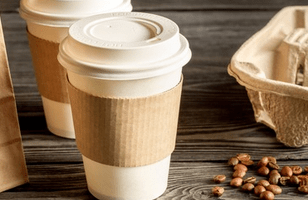 The legislation regarding empty packaging waste has changed recently, and even following the latest industry guidance from the Chemical Industries Association may not be straightforward. At Packaging Reuse, we have put together an in-house compliance team who can offer practical advice and solutions for your packaging waste and a bespoke permitted facility to handle it in accordance with the most recent standards. Our assessment and advice costs nothing, and may just help you avoid the potential pitfalls of failing to properly fulfil your Duty-of-Care with regard to your waste. Why Choose Packaging Reuse For Your Reconditioning and Recycling Requirements? When it comes to industrial standard packaging, high standard of construction and subsequent performance is only half the story. Increasingly, the current economy requires for the efficient and effective use of resources by from a financial and an environmental perspective. Pakaging Reuse offer the highest standard of Drum and IBC reconditioning. Key to all our undertakings is the maintenance of both performance and environmental efficiency, to the benefit of our customers. Ensures that performance is maintained across an extended lifecycle. Guarantees that all environmental practices and requirements are met in line with new WM3 classification and regulation. The provision of nationwide collection networks of your industrial containers and hazardous waste. The provision of reconditioned industrial packaging which meets Certified Standards. The Certification of both packaging and hazardous waste to UN Recommendations and those laid out in the WM3 legislation. The dedicated reconditioning and recycling of industrial packaging. The dedicated safe handling and removal of all hazardous waste, in line with the regulations outlined in the WM3 legislation. We offer both inspection and test facilities for Dangerous Goods Use, in line with both UN recommendations and WM3 legislation. Our customers and clients can rest assured that we provide the optimum solution for their waste packaging, both in terms of leveraging the maximum economic advantage and environmental compliance. This is irrespective of the specific option which is utilised, as these two objectives are achieved brand wide, in all our re-conditioning, recycling, reuse and recovery services. Should you be unsure of the specific qualification of your used industrial packaging and waste regulation, then do not worry! Our team are on hand to provide technical assistance and advice, including the handling of both hazardous and dangerous waste. 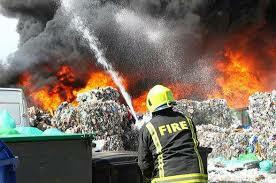 In July WM3, or Waste Management 3, came into force. This is the latest technical guidance provided by the Environmental Agency on how to both assess and clarify waste, building on the previous, no outdated guidance provided in WM2. In many ways a clarification of existing regulations, it has however placed more onerous expectations on producers of waste, particularly in relation to HP14(FORMERLY H14). The classification of HP 14 is clarified with H code or Risk Phase equations making it particularly difficult for mixtures of materials and some compounds to achieve non-hazardous by HP14 status. This is particularly true of effluents and filter cakes, the standard fare of many industrial and chemical processes. This will inevitably lead to increase assessment and analysis costs for companies and potentially restrict the opportunities for waste brokers. Controversy is also the case with the continued declaration of 15.01.10 contaminated packaging as this is an absolute hazard, meaning large quantities of hazardous waste are being consigned to facilities only licensed to receive non-hazardous wastes. Add to this the regular stories of containers emptied to industry standards as empty 15.01.10 containers yet reported to contain several per cent or up to 40 litres of product mean that there is considerable scope for incorrect or under declaration of hazardous waste streams. Only bona fide hazardous waste facilities are licensed and capable of receiving these with site chemist, infrastructure and appropriate NSDS assessment and method statements. Assisting in identification and analysis of waste in a cost effective manner. Network all hazardous disposal options from Cemfuel, high temperature incineration, TFS and treatment. Packaging Reuse’s USP is to quantify all three of these costs. In order to discuss the compliance of your waste stream with WM3, a member of our customer service team can be contacted by calling: 0161 848 0976. For the duration of the twentieth century, the steel drum has been effectively used as a means of providing the carriage of liquids. With industries as diverse as hazardous chemicals and foodstuffs, utilising the steel drum as their primary transportation method of choice. This popularity can be attributed to the fact that the Steel Drum can be safely moved by a single person- due to the fact it is round in shape and can, therefore, be rolled. Due to the fact that the steel drum is incredibly strong, especially compared with other transportation methods, it is considered by many to be the safest transportation method, making steel drums incredibly popular for the movement of hazardous waste. But what other benefits do steel drums provide? Safety: due to the strength of steel, these drums can offer unparalleled levels of protection from fire, rupture and leakage. Durability: The ability to recondition and recycle steel drums offer potentially unlimited levels of reusage. Stackability: Steel drums can be easily and effectively stacked to facilitate effective storage and enable effective transportation, irrespective of environment based factors. Steel drums differ from other industrial packaging materials in one key way. This is the fact that once a steel drum has been correctly reconditioned, it meets the same legal and safety requirements of a brand new steel drum. Additionally, steel drums offer high levels of re-use expectations, providing significant financial savings for your business, presently a simple yet effective means of increasing its cost efficiency. When a steel drum has come to the end of its life it can be effectively recycled. Scrap drums are first segregated, before being processed and made into scrap metal. Due to the fact that it is both magnetic and incredibly strong, steel drums are especially suited to being recycled. Furthermore, to ensure that scrap resulting from steel drums contributes towards meeting both recovery and recycling obligations, the British Metals Foundation, the British Foundry Association and UK Steel Association, have co-signed an agreement with the Environmental Agency to recognise the retrieval of both commercial and industrial scrap. Packaging Reuse offer a dedicated steel drum recycling and reconditioning service, this includes the reconditioning of steel drums that have contained hazardous waste in a way which is compliant with the new WM3 requirements.